9/11, 7/7 & the War on Freedom :: View topic - Princess Diana fake inquest. Top royals wanted her dead? Princess Diana fake inquest. Top royals wanted her dead? The following document is a top secret CIA report that was found in the Austrian hotel room of Oswald LeWinter, long time CIA operative. It was published in an Austrian newspaper which is why I have it. I do not understand why Rumor Mill News appears to be the ONLY place that this document can be found. I wonder if this document will be introduced at the inquest since it's obvious that Mohammed al Fayed has not only this document, but many others which were found in LeWinter's hotel room. LeWinter was trying to sell the documents to al Fayed. The document states that the car in which Diana and Dodi were killed had been stolen and the car had been rebuilt to respond to external radio controls. You will read that the document states that Dodi and Diana met in November 1996 and intimacy begins shortly after they meet. WHAT DID HILLARY SAY TO THE PRINCESS WHICH SCARED HER BADLY ENOUGH TO RACE BACK TO ENGLAND AND SEEK OUT PROTECTION? Princess Diana breakfasted with Hillary at the White House in September of 1996. Bill was in NYC at the United Nations. Whatever Hillary told Diana, it caused Diana to leave the United States immediately. When she returned to England, one of the first people she sought out was the best friend of her father, Mohammed Al Fayed. The following is from the recent GLOBE article. the envelope addressed just to "Paul,"
and I want you to keep it...just in case." September of 1996 - Diana Breakfasted with Hillary at the White House. October of 1996 - Diana wrote the note that Paul Burrell just published in - the note in which she stated that someone was trying to murder her by tampering with her brakes. November of 1996 - Diana is introduced to Dodi by his father and her friend Mohammed Al Fayed. The romance begins immediately. One of the sources for the following document is Ken Etheridge who was a source for Allan Frankovich's Maltese Doublecross. Etheridge was a long time enemy of Mohamed al Fayed. COS Geneva means Chief of Station, Geneva... That's the CIA Chief of Station. K-team may or may not refer to a secret team headed by Ollie North during the Reagan years. According to MI6 agent, Richard Tomlinson, the plan for "assassination through auto accidents" was developed by K team out of Geneva. The following document is a top secret CIA report that was found in the Austrian hotel room of Oswald LeWinter, long time CIA operative. Annie Machon says he was (also) an MI6 agent. She talks here... the actual clip is headlined with something to do with David Icke (which is completely unfathomable) - I'm wondering whether there is a better clip with a less misleading title. Despite that it is worth watching the clip and listening to Annie. looks like this Auzzie mag is saying Kate wants a proper inquest??? John Morgan alleges that a clandestine committee of top royals was behind the deaths and cover-up. Known as the Way Ahead Group (WAG), it was chaired by the Queen, he says. Obviously, the royals didn't personally carry out any dirty work, says Morgan, "but it seems that the order - verbal or implied - came from a senior royal, most likely the Queen." In the 753-page book he documents that the meeting - which included the Queen, Prince Charles, Prince Philip and senior aides was held on Wednesday July 23rd 1997, where the fate of Diana, who was about to take William and Harry on a 10-day vacation with Dodi, was decided. Diana and Dodi seen as a 'double threat' to the British establishment. May 16, John Morgan, The Princess Diana Inquest, The Evidence She Was Assassinated Revealed! An expert and author on the assassination of Princess Diana in the Paris Tunnel. One always has to be suspicious when 14 security cameras fail on the same night and the only witness to the death is burnt in his car with 2 bullet holes in his head. An authoritative new book - published this week – names the killers of Princess Diana, and shows who gave them the order to assassinate her. This explosive, evidence-based book is the most shocking, revealing, yet factual work written on the 1997 Paris car crash that took the lives of Princess Diana and her lover Dodi Fayed. In Diana Inquest: Who Killed Princess Diana? investigative writer John Morgan reveals that the assassination of Princess Diana was carried out by the British intelligence agency, MI6, on orders from senior members of the British royal family. Morgan has spent six years investigating the evidence relating to the crash in the Alma Tunnel, and the subsequent cover-up by the British and French authorities. The Diana Inquest series of books are based on forensic analysis of the testimony heard during the 2007-08 inquest, and also on evidence from the British police investigation that was withheld from the inquest jury. - evidence revealing that British Prime Minister, Tony Blair, had prior knowledge of the assassination. John Morgan says that “at the 2007-08 inquest into the deaths of Princess Diana and Dodi Fayed, the judge, Lord Justice Scott Baker, went to great lengths to prevent the jury from being able to piece together all the evidence that could have allowed them to understand the roles played by MI6 and the royal family in the deaths”. Morgan continues: “Given the many lies told by the MI6 officers, and the efforts by the royal private secretaries and Scott Baker to suppress and cover-up vital evidence, the jury really had no hope of understanding the role played by both the Secret Intelligence Service and the royal family in the 1997 assassination”. Lord Justice Scott Baker, deliberately prevented his jury from being able to piece together the evidence that could have allowed them to understand the roles played by MI6 and the royal family in the deaths of Diana and Dodi The Diana Inquest series of books is based on forensic analysis of the testimony heard during the 2007-08 inquest, and also on evidence from the British police investigation that was withheld from the inquest jury. A leading UK QC, Michael Mansfield, who served throughout the six months of the London inquest, has stated "I have no doubt that the volumes written by [John Morgan] will come to be regarded as the 'Magnum Opus' on the crash ... that resulted in the unlawful killing of Diana, Princess of Wales and Dodi Al Fayed and the cover-up that followed." Dodi's father, Mohamed Al Fayed has said: "I believe that John Morgan has done more to expose the facts of this case than the police in France and Britain." Astonishing claims by new witnesses are being examined by British detectives investigating Diana's death. They seem incredible. But if true, they could rock the Royal Family to its foundations. On the night that Diana, Princess of Wales died, the lights of the British Embassy ? less than a mile from the accident spot in Paris ? blazed until dawn finally broke over the French capital. Inside the imposing building, diplomats summoned from their sleep by the British ambassador, Sir Michael Jay, struggled to monitor the tragedy that was unfolding. Millions of words have been written about the moment that Diana, with her Muslim boyfriend Dodi Fayed, smashed into pillar 13 of the Pont d?Alma road tunnel as they were being driven from the Ritz Hotel in a black Mercedes at 12.20am on Sunday, August 31, 1997. Ever since, the precise chronology of the fateful night and the roles played by the Royal Family and the Government have been accepted almost without serious challenge. Yet the Mail can reveal today that new eye-witnesses have emerged in the past few weeks with explosive testimony which raises profound questions about the influence of the House of Windsor and the Establishment over events surrounding the Princess?s death. These fresh accounts include the astonishing claim that the Queen?s most senior and trusted courtier was seen in Paris, at the British Embassy, half an hour before the crash. Furthermore, they include a baffling allegation that the RAF crew which flew Tony Blair from his Sedgefield constituency to London to greet the Princess?s repatriated body had been on continual standby to make the flight from two days earlier - when Diana was still alive. During this investigation, the Mail has also received confirmation that two diplomats working for the secret intelligence service MI6 were operating at the British Embassy in Paris during the weeks before Diana?s death. These two senior men - who have both enjoyed glittering careers ? have admitted their intelligence roles to Lord Stevens, the ex-head of Scotland Yard who is heading the official inquiry into whether there was any conspiracy to murder the Princess. In the Paris crash, Dodi was killed outright and the Princess was at first thought to have survived. Yet despite attempts by surgeons, she was declared beyond medical help at the Pitie Salpetriere hospital at 4am. By then, dozens of phone calls had flashed between the British Embassy and Balmoral Castle, the royal retreat in Scotland where the Queen and Diana?s ex-husband, Prince Charles, were holidaying with Princes William and Harry, then aged 15 and 12. The Queen was the first to be told of the accident, at 2am, when she was woken by her personal page. Still in her dressing gown, she and Prince Philip anxiously paced the tartan-carpeted corridors throughout the night. Alerted immediately, Prince Charles retired to his private sitting room next to the Queen's dressing room. There, he made calls and answered those from Paris coming into the castle's switchboard and his mobile phone. On the ground floor of the castle, the Queen's deputy private secretary Sir Robin Janvrin based himself in the equerries' room, where he also fielded incoming messages. Most pertinently, Sir Robin was on duty because his superior - the Queen's private secretary, Sir Robert Fellowes, a plummy-voiced Old Etonian and Princess Diana's brother-in-law - had taken a weekend's leave. Meanwhile, the Prime Minister, who was in his North-East constituency, is said to have been woken by a call from Sir Michael Jay which had been forwarded by a secure satellite phone via Downing Street. At first, he was told the Princess had been involved in an accident and then, later, of her death. It was then he began working on that memorable - and apparently impromptu - speech which he delivered several hours later, describing Diana as the 'People's Princess'. It was a fitting title and one that the millions mourning Diana embraced. Yet just as the outpouring of grief continued in the days after the crash, so, too, have those nagging doubts - and conspiracy theories - about Diana's death, which refuse to abate. As a result, Lord Stevens?s team of ten detectives have interviewed hundreds of people whose lives crossed Diana?s own. Prince Charles has been questioned. Sir Michael Jay, now Permanent Secretary at the Foreign Office, has been asked to outline his role on the night of the crash. In a dramatic development in recent weeks, Sir Robert Fellowes ? now Lord Fellowes ? has been asked about his whereabouts during that tragic weekend. Significantly, the detectives are also planning to speak to Maud Morel-Coujard, the French legal official who oversaw the police operation on the night of the crash. Indeed, she was waiting at the hospital when Diana was brought there by ambulance just after 2am. She is in a unique position to know exactly what happened and, crucially, her evidence may give credence to the allegations about Lord Fellowes, Mr Blair?s flight and the two spies. Her recollections may also explain the feverish volume of communications between Paris, London and Scotland that night. Mme Morel-Coujard is expected to say that some instructions on the treatment of the dying Princess were issued by Sir Michael Jay, who was also at the hospital. He was, in turn, receiving his orders via his mobile from the British Embassy, Balmoral and Downing Street. Her revelations will stoke the controversy over why Diana?s body should have undergone this process prior to such a key forensic examination, which took place on the Sunday at 8pm at a West London mortuary. Was it - as some continue to maintain, despite denials - because Diana was pregnant with Dodi's baby? And did someone want such an embarrassing fact kept secret? Recently, the notion of Diana being pregnant was vehemently discounted in the Mail on Sunday by Dominic Lawson, the husband of Diana's close friend Rosa Monckton. He wrote: "It is in a way obscene that such speculation is the subject of a public inquiry (by Lord Stevens)." He explained his wife had spent a week with Diana before her death and had told Lord Stevens's team that the Princess could not possibly have been pregnant with Dodi's baby. He added: "Rosa [MI6 liar - ed.] felt obliged to reveal that, when they said goodbye on August 20, 1997, Diana's period had started and therefore it was biologically impossible for her to have been pregnant at the time of her death." So what evidence has Lord Stevens's investigation uncovered so far? During his three-year inquiry - which has cost £2million - he has let slip little about his findings. But at a book festival last month, he admitted new witnesses had been found who may provide fresh clues. He is now writing an interim report (it is expected to be finished by September) for the Royal coroner, Michael Burgess, who will hold an inquest next year once Lord Stevens has completed a final analysis that includes the testimony provided by the new eye-witnesses. The Mail has learned they include two men with extraordinary tales. The first, whom we will call Mr X, was based at the British Embassy in Paris and formerly worked for the Foreign Office in London. His tantalising evidence emerged only recently through a third party. If true, it will link the Royal Family to events in Paris on the weekend of the Princess's death. Mr X is said to be a middle-aged, English wireless operator at the embassy. He came on duty in the early evening of August 30, expecting his night shift to be routine. From his office in the communications room, encrypted phone calls and messages were sent from the embassy via UK listening stations to Downing Street, the heads of Whitehall departments and, if necessary, senior aides of the Royal Family. Mr X was proud of his job and is an ardent royalist. However, something unexpected happened that night which he found deeply troubling. He says that just before midnight (as Diana was preparing to leave the Ritz Hotel with Dodi) two well-spoken men burst through the door of the communications room. Described as "public school", they brusquely ordered Mr X to leave his post and not to return until told. Mr X kept silent about this pertinent episode until 2000 because he had signed the Official Secrets Act. But then, apparently, he named one of the men to a third party. Exploding with anger, he explained: "It was that b*****d Fellowes. He turfed me out of my own office. He was in Paris the night Diana died." Of course, Mr X may have been mistaken. Well-spoken Englishmen in smart suits are apt to sound and look very similar. Furthermore, Mr X only saw the two men for a few minutes. But his story, however incredible, is being actively investigated by Lord Stevens and his team. The Mail understands that in an initial conversation with the Diana squad, Lord Fellowes has said he was enjoying a break at his Norfolk estate with his wife - Diana's sister, Lady Jane Fellowes. He has dismissed the claim he was in Paris that weekend or any part of the night Diana died. And what of the second new witness, whom we will call Mr Y? 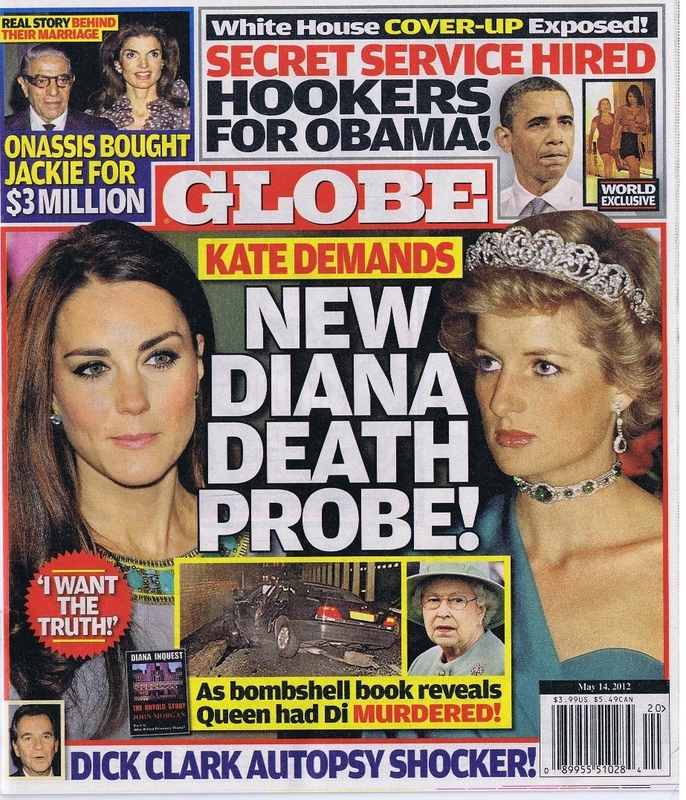 He has come forward with a scenario which, if true, will also shed doubt on the official version of Diana's death. The Mail understands that he was interviewed at length by Lord Stevens's detectives recently. Mr Y was one of the security staff on duty at Tony Blair?s Sedgefield constituency during the weekend that Diana died. It was one of the first weekends the Labour Prime Minister had spent there with his family since his election. When news arrived overnight that Diana was dead, Mr Blair's weekend, which had been largely free of public engagements, was thrown into disarray. After delivering his 'People's Princess' tribute, he returned to London to receive Diana's body at Northolt airport at 5pm on the Sunday. The Prime Minister's wife and their three children were put on a scheduled British Midland flight from Teesside airport at tea-time for them to return to Downing Street. Normally, the Prime Minister would have travelled with them. But instead, he boarded an RAF plane piloted by a crew based in Scotland which had flown to Teesside. Waiting on the tarmac for Mr Blair was Mr Y. The co-pilot, according to information now with the Diana squad, asked him: "What?s really going on? We?ve been on standby in Scotland since 5pm on Friday waiting to make this flight to Northolt with the Prime Minister." Incredibly, and if Mr Y?s memory of his conversation with the co-pilot is correct, it would mean that Diana's death was not only expected - it was actually planned. Yet can that really be true? Or is it just another fantastic conspiracy theory, one of the countless that still surround the Princess's death? Could Mr Y have perhaps misinterpreted the words of the RAF co-pilot? Or has his memory played tricks about events which happened almost a decade ago? Mr Y's claim is just one of the many mysteries that are now being unravelled, checked and re-examined by the Diana squad. Perhaps none of the unanswered questions is more puzzling than the roles of the two MI6 officers who were based at the British Embassy in Paris. Both were listed on the embassy's staff list as diplomats. Yet one had mysteriously only just been posted to the French capital a few days before the crash. Their names first came to the attention of the Diana squad two years ago when a continuous stream of informants ? including one of particular significance because of his position in Britain?s special forces ? insisted that the pair were spies who were both implicated in the Princess's death. Significantly, in one instance, the Diana squad was passed a nine-line note on a flimsy piece of paper purporting to come from an insider at the headquarters of the U.S. Central Intelligence Agency. It has been seen by the Mail and names both men. Then it adds: "If you are brave enough, dig deeper to learn about them. Both MI6. Both were involved at the highest level in the murder of the Princess." The files at the Diana squad headquarters, of course, are stacked high with such wild allegations from shadowy informants. Many have a habit of being unprovable or are simply the imaginings of over-fertile minds. However, the Mail has learned that both these men, in their mid-40s, have been interviewed by officers about their movements on the weekend the Princess died. They were given permission to speak about their roles for the first time by the head of MI6, John Scarlett. The men have produced tickets and documents dating from 1997 which prove they were not in Paris that weekend. One was in the South of France with his wife and in-laws. The other was taking a short trip to Greece. Both have told Lord Stevens they only returned to the British Embassy, overlooking the eternally fashionable Rue du Faubourg St Honore near the Champs Elysees, after Diana's body had left French soil for England. That answer may not surprise Lord Stevens. But equally, it won't stop him looking into the matter further. From the start of his inquiry, he promised that his team would "go wherever the evidence takes us" in the quest for the truth about Diana's death. And, if necessary, that includes the powerful inner sanctums of the British Establishment. And here it is as a single film. A documentary by controversial film-maker Keith Allen called Unlawful Killing and focusing on Princess Diana's death has been shelved over the potential legal action it would face. The film, which sees Allen question the circumstances surrounding Diana's death, received an unofficial screening at Cannes last year. A spokesperson for the company behind the film told The Sun: 'Unlawful Killing has been sold all around the world. Allen – father to pop star Lily – had previously indicated that he thought the controversial film would never make it to UK screens. The 59-year-old refused to censor the documentary, which contained a dying photo of the Princess of Wales. It was financed by Mohammed Al-Fayed, the father of Diana's partner Dodi. Allen is known for his inflammatory documentaries, having previously focused his attentions on the British National Party. Press TV review the film which cannot be shown in the UK due to legal threats from the royals to filmmaker Keith Allen. These threats cite the 'distress' which 'will' be caused if the a still picture of Diana looking uninjured after the crash which appears in the film and which has previously appeared in various countries is shown to the British public. Contrast this with the Zabruder film shots of assassinated US President John F. Kennedy having his head blown off which was not shown on US TV until 1977.
ye gods = - - - - more! An explosive new book has been released this week ahead of the 15th anniversary of the deaths of Princess Diana and Dodi Fayed. It names the 26 key witnesses who participated in an official cover-up by committing perjury at the 2007-8 London inquests into their deaths. 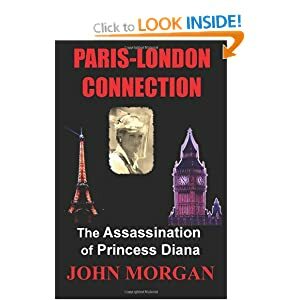 Entitled Paris-London Connection: The Assassination of Princess Diana, the book is written by Australian-based writer John Morgan, who has spent six years investigating the circumstances of the 1997 Paris crash that took the couple’s lives. Fast-paced, concise, and authoritative, its compelling and readable narrative summarises the detailed evidence contained in Morgan’s highly-acclaimed Diana Inquest series of books. Morgan concludes the crash was orchestrated by the British intelligence organisation MI6 on the orders of senior figures in the royal family. He reveals the massive degree of state-authorised corruption in the French and British police investigations, and in the London inquest headed by Lord Justice Scott Baker. Morgan reveals that MI6 officers, agents, and other witnesses representing the British and French authorities, were allowed to lie at the inquest, with no expectation that they would ever be held liable. He names 26 important witnesses who committed perjury, and should have been required to account for their false testimony. The new book also addresses the critical role played by senior MI6 officer, Sherard Cowper-Coles, who controlled the Paris side of the massive operation. Cowper-Coles went on to become the British ambassador to Israel, Saudi Arabia, and later Afghanistan. Despite his key role in the MI6 operation, Cowper-Coles was not heard from at the inquest and has never been officially interviewed about the case. Other vital issues covered in Paris-London Connection include the shocking delay in getting Princess Diana to a hospital following the crash. Morgan reveals that during the hour and 43 minutes between the crash and hospitalisation, the ambulance doctors took actions that deliberately hastened her death. Morgan states that the doctors, Jean-Marc Martino and Arnaud Derossi, “effectively murdered Diana in the back of their ambulance. Six minutes after arriving at La Pitié Hospital Diana took her last breath”. Morgan demonstrates that close cooperation between the French and British authorities – including their intelligence agencies – was critical to the success of the assassination, and to the huge cover-up that followed. He also reveals that British Prime Minister Tony Blair had prior knowledge of the killings, and has subsequently lied about the content of his final conversation with Diana that took place at Chequers just weeks before her death. Paris-London Connection is a fast-moving, factual narrative that tracks the events leading up to the deaths of Diana and Dodi, the crash in the Alma Tunnel itself, the immediate aftermath, and then the years of inter-governmental cover-up that have occurred since. This impeccably-researched book – based on witness and documentary evidence, some of which was corruptly withheld from the 2007-8 inquest jury – finally gives readers the who, why, and how of the Diana assassination. 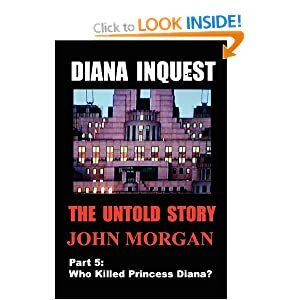 John Morgan is the author of the Diana Inquest series of books. Eminent QC Michael Mansfield – who served throughout the six months of the London inquest – has said of this series: “I have no doubt that the volumes written by John Morgan will come to be regarded as the ‘Magnum Opus’ on the crash”. Paris-London Connection: The Assassination of Princess Diana is available at Amazon US and UK. John Morgan, who is based in Brisbane, Australia, is an investigative writer with a diploma in journalism. Since 2005 he has carried out extensive full-time research into the events surrounding the deaths of Diana, Princess of Wales and Dodi Fayed. After studying the Paget report when it was published in December 2006, he was shocked by the content of it. He realised that the £4 million report which took three years to produce was littered with inaccuracies and poorly drawn conclusions -- John viewed it as a huge injustice to the memory of Princess Diana. The 2007 book, Cover-up of a Royal Murder, was the result of his subsequent investigation into the Paget report. John went on to closely follow and analyse the proceedings and transcripts of the London inquest into the deaths of Princess Diana and Dodi Fayed. The Diana Inquest series of books was the result of his thorough research and investigation into that process. This current book, Paris-London Connection, is based on the evidence and forensic analysis in the highly acclaimed Diana Inquest book series. John Morgan names names in this latest book too. Dr Jean-Marc Martino & Dr Arnaud Derossi. Posted: Wed Aug 29, 2012 8:22 pm Post subject: Sherard Cowper-Coles knighted for Diana assassination role? It was the MI6 Paris officer Sherard Cowper-Coles who Morgan names as the mastermind of the Diana assassination. A nasty job MI6 Paris chief Eugene Curley had refused to do it suggests Morgan, so he was replaced (unofficially). Sherard Cowper-Coles had just earned his spurs helping the now BBC Trustees Chairman & failed Tory Bath MP Chris Patten to hand Hong Kong over to the Chinese with the minimum of democratic freedoms in place. Sherard Cowper-Coles knighted for Diana assassination role? Fifteen years ago, a distraught nation woke up to the news that Diana, Princess of Wales had died in a car crash in Paris. The nation’s mood turned from disbelief, to grief and then to anger. People vowed never to forget the People’s Princess. But years after those extraordinary scenes outside Kensington Palace, that’s exactly what has happened. Diana has been forgotten. Walk around our capital city and there is nothing that says Diana was ever here. True, you can find a tacky memorial in Harrods, and yes, there’s that never working fountain thing in Hyde Park, but otherwise there is no national monument to this shining, beautiful woman who affected us so profoundly and had such a great impact, not just in Britain but globally. Visitors from the United States in particular are astonished at our lack of a public memorial. How to honour and remember Diana was, in the six months after her death, a poison chalice. At the time, I was a Trustee of the Diana Memorial Fund. Everyone thought they knew “what she would have wanted”; the media, the Royal Family, politicians, 60 million Britons, not to mention Diana’s family, the Spencers, who not only disagreed with the Royal Family but amongst themselves too. And then of course there was the butler, Paul Burrell, who believed he was channelling Diana’s wishes through her Mont Blanc pen – or at least that’s what he said when I found him with it. In truth, I’d heard Diana myself saying that she hated statues. Come to think of it, she wasn’t keen on having things named after her either, even when she was alive. So the Diana Memorial Fund vowed to keep her memory alive through its charitable work funded by the millions that poured in from ordinary people. But even here there was controversy. Diana identified with outsiders and those at the margins of society; refugees, prisoners, landmine victims. But choosing these issues to benefit from the Fund provoked a howl of condemnation from those who have preferred something a little more fluffy and less gritty. The truth was that in 1997 and into 1998, the view from politicians, the Royal Family and the Spencers was the quicker Diana was forgotten – or perhaps more accurately the quicker she stopped being front page news even in death – the better. The establishment had been spooked by the ugly mood that developed in the days before her funeral and feared any monument would quickly become a focus for further criticism of the aloofness and distance of the royal family. Honour her but in as low key and as invisible a way as possible was the mantra. Putting Diana back in her box had been a problem in life and in death it proved just as difficult. The truth is that her legacy has triumphed, despite the lack of public monument. One legacy which endures to this day is the way that we treat people with HIV. By publicly holding the hand of someone with Aids in the Eighties, Diana did more to roll back stigma than anyone before or since. But one of her greatest legacies was on full view at the opening of the Paralympics. William and Kate. Diana’s influence on the monarchy has been profound. It wasn’t Charles who took William to homeless hostels, it was Diana. And it was Diana who insisted the boys had a life outside Kensington Palace. The impact on William today is clear. The aloofness of the Royal Family of the Nineties has melted away. William is seen as a respected and popular Prince of the People, one who married for love and who is ­determined to do his duty but not at the expense of his private life or that of his adored bride and we all seem to be cool with that. Diana’s engagement ring which Kate now wears has come to symbolise all that was very best about Diana. Kate has that same easiness that Diana had – that she is permitted to have because of Diana – with people from all walks of life. I never saw anyone as able as Diana at engaging people in genuine conversation, however ­difficult their circumstances. And Kate in her Paralympic outfit this week showed that she can do that too. But it is because of Diana she is allowed to do it. I think that the ghost of Diana, which has haunted the Royal Family for years is now almost at rest. 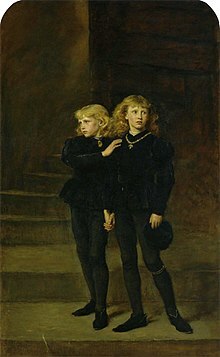 And surely now that those raw and difficult emotions of the Nineties are gone, it is time for William and Harry to ensure that there is a monument in London, which will not be a tacky shrine but a genuine tribute to a remarkable great Briton who changed our country and its royal family for ever – and for the better. Such a contribution should never be forgotten. Were Prince Harry photos 'hit' to keep his mouth shut on 15th anniversary of mum's assassination? The timing of the prince Harry photo sting just before his mum's 15th anniversary passed me by until I heard about the 15th anniversary this weekend. Knowing the security services and their privatised Murdoch-friendly allies use emotional blackmail as a major tool to influence powerful people this looks like an opportunity to pile masses of emotional pressure on Harry. Though he might suspect the episode to be a sting he will have no proof that it would have been our rotten-to-the-core security services that arranged to take & market the photos. Making sure if he was thinking of saying something about his mum on the 15th anniversary of her now PROVEN assassination he would have just been told by daddy, one of the people who ordered the hit, to keep his thoughts to himself. Walking through Hyde Park the other day, I was stopped by a group of young Japanese tourists who asked where the Diana memorial was. I told them they’d just passed it — the ‘fountain’ that looks like an industrial storm drain. They were shocked at the lack of respect and that our ‘famous Princess’ should be honoured in such a way. Or rather, dishonoured. And, indeed, so should we be. Diana died 15 years ago yesterday, and has since been all but written out of the script. And it has not been by accident. As the PR agent Mark Borkowski observed this week, the Firm has sidelined Diana as part of a slick rebranding exercise. It’s a view echoed by her friend and former trustee of the Diana Memorial Fund, Vivienne Parry. After Diana’s death, Parry said this week, ‘the view from politicians, the Royal Family and the Spencers was that the quicker Diana was forgotten the better’. Sure enough, 15 years later there is shamefully still not a fitting memorial to the woman who dragged the Royal Family into the 20th century and made it fit for purpose for a new age. Diana was not perfect, but she achieved much in her short life against incredible resistance and with little support from her husband. She didn’t just modernise the Royal Family, she humanised it through her work with Aids sufferers, the homeless, the forgotten and landmine victims. Imagine, if she’d been alive today, how Diana would be supporting the Paralympics, championing all the international athletes maimed by landmines and, in particular, the eight members of Team GB who were victims of roadside bombs in Afghanistan. It was her populist touch that paved the way for Kate’s down-to-earth appearances — with William and on her own — which have endeared her to contestants and audiences alike this Olympic summer. Given yesterday’s sad anniversary, wouldn’t some formal recognition of her memory have been fitting? Yes, her sons have tried to keep their mother’s memory alive — with the Diana memorial concert, five years ago; Harry naming his Aids charity Sentebale (meaning ‘forget me not’) in honour of his mother’s work; and William giving Kate Diana’s engagement ring. Yet the sad truth is that 15 years after her death, the Establishment has won. Diana has been airbrushed out — except in the memories of her family and the millions who loved her. 'In the days immediately following Princess Diana’s ‘accident’, media reports famously informed us that her car “crashed into a concrete pillar while overtaking another vehicle” (a white Fiat Uno). In any event, check this paragraph taken from the “London Times”:http://www.timesonline.co.uk/tol/comment/columnists/bronwen_mad dox/article4938718.ece article I mentioned above. It was penned just a few days after Haiderâ€™s death (my italics). I've been told I should put some 'meat' from a story in, apart from just a link; but really, with these links, you have to go to them to get the full impact of this information. 'Boston Brakes' is a fact, not a 'theory'. Whether it was used in these cases is a 'theory', but a mighty good one in my opinion. Uncovered truth site is down now?? Sorry, "Unlawful Killing" was deleted at 11:07:13 Mon Dec 17, 2012. Vimeo has removed or disabled access to the following material as a result of a third-party notification by ALLIED STARS FILMS claiming that this material is infringing: Unlawful Killing. Trust everybody has a copy of the film now. Because it is not available anywhere so it's not as if you're depriving anyone of an income. As soon as it becomes commercially available in the UK I'll be happy to remove links but not until then as it contains evidence of murder. 5. 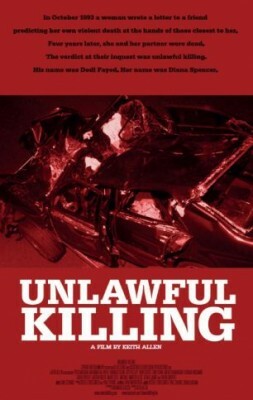 Infringed Title(s) : “UNLAWFUL KILLING"
9. DMCA Request : Please cease Infringing Activity / remove Infringed Title(s) from Infringing File Location(s) ASAP : thank you. "I have a good faith belief that use of the copyrighted and / or other infringing materials I will submit via email and allege to be infringing are not authorized by the owner(s) of the pertinent rights, their agents, or the law. I swear, under penalty of perjury, that the information I submit in each and every notification I will send will be accurate and that I will be at the time of notification either the intellectual property rights owner or authorized to act on behalf of the owner(s) of the exclusive rights that are allegedly infringed. I also hereby submit to United States laws and jurisdiction in relation to the subject matter of this DMCA notification." Note 1 : The information in the notification is accurate and, under penalty of perjury, Web Sheriff® is authorized to act on behalf of the exclusive owner of the rights alleged to have been infringed in this Notification. Both Web Sheriff® and the Rights Owner specified herein have a good faith belief that the infringing party specified above has no right or entitlement to exploit the Infringed Rights specified herein. Note 2 : This DMCA request is issued without prejudice to all of our client's accumulated, worldwide rights in relation to the infringements specified herein - including, but not limited to, the right to seek injunctive relief, the right to sue for damages and the right to seek criminal prosecutions all of which rights are hereby reserved in full. This e-mail is the copyright of Web Sheriff®. The contents of this e-mail are strictly private confidential, are for the attention of the addressee(s) only and may also qualify for legal privilege. This communication may not be disclosed or otherwise communicated to anyone other than the addressee(s), nor may it be copied or reproduced in any way without the written authorization of Web Sheriff®. If received in error, please contact our London office on +44(0)208-323 8013, quoting the name of the sender and the addressee(s), then please delete it from your system. Please note that whilst we have taken all reasonable steps to ensure there are no viruses contained within this e-mail and any attachments, it is your responsibility to ensure they are scanned and virus free. Neither Web Sheriff® nor the sender accepts responsibility for any interception of this e-mail by unauthorized persons and please be aware that internet e-mail is not a completely secure method of communication. What is Allen's and Al Fayed's opinion of the movie being taken off the net? They must be the copyright owners. The article below says that Al Fayed financed the documentary to the tune of £2.5m, I'm sure he did that to get his message out, not for any expectation of a financial return. So if the movie is being taken off the net it must be because of legal restraints other than copyright restriction. KEITH ALLEN yesterday defended his controversial documentary about the death of Diana, Princess of Wales, insisting it is not a “sensationalist” film. He was speaking as the work, called Unlawful Killing, was shown to invited journalists at the Cannes Film Festival. The film has already hit the headlines this week when it emerged it includes a photograph of Diana taken shortly after the crash. The Gorseinon-born comic, whose daughter is pop star Lily Allen, said he had tried to get funding for the film from Channel 4, Channel 5, Sky and the BBC but had been turned down by them all. He then approached Mohamed al-Fayed, whose son, Dodi, also died in the 1997 Paris crash that killed Diana. A spokesman for Mr al-Fayed confirmed that the former Harrods boss had provided around £2.5m to fund the documentary. The film, which is not entered into any of the official selections at this year’s festival, features contributions from the late Tony Curtis, Lauren Booth, George Galloway and Mr al-Fayed. Allen said he did not mention Mr al-Fayed’s involvement during the film because it “would have interrupted the flow”. The comic and actor defended the brief use of a photograph which showed Diana in the car after the crash which he said was not “as sensational or revealing as people make it out to be”. Mr al-Fayed, who was not at the press conference, issued a statement in which he said the film went “a long way towards revealing the truth” about the deaths of his son and Diana. Allen compared his own interest in the crash to his fascination as a young man with the scandal surrounding former Liberal Party leader Jeremy Thorpe. Thorpe was cleared of conspiracy to murder after Norman Scott, who alleged he had a homosexual relationship with the politician, was attacked and his dog, Rinka, shot dead. He also said he refused to make 87 cuts asked for by lawyers to enable the film to be seen in the UK. Allen told reporters he thought the crash was only intended as a warning but “something went massively wrong”. Allen said “at least two” of the people interviewed for the film, which claims to provide evidence of a cover-up after Diana’s death, were “close” to the Royal Family. Looks to me like the 'owner' of the film or 'manager' for Al Fayed is protecting their intellectual property rights to sell the film in the UK in future by issuing takedown orders. I don't imagine this is what Al Fayed would wish for and even if Al Fayed does not own the rights himself, which would seem a bit strange, he could generate masses of publicity around the film by putting it online himself. My own take on this is that crooked lawyers may be giving wrong advice to Al Fayed's lawyers or else they have simply kept all this from him promising that they are doing their best to get the film released when, in fact, they appear to be doing absolutely nothing. One thing's for certain, his son was murdered along with Diana and the murderers are backed with infinite supplies of cash to buy off anybody who it looks like could expose their crimes. I'm put in mind of Hosny Mubarak, who, with the help of the international Mafia, would go to any lengths to stay in power ... until all his time and effort was spent scheming to retain that power and none whatever actually thinking about the needs or aspirations of the people he was supposed to be ruling. Whether it's the old princes in the tower or the contemporary William and Harry's mother and step-father this gives quite an insight into the utterly cruel and ruthless power=mad psychopathic nature of Britain's royal family ever since the creation of the Order of the Garter, the two witches' covens that have surrounded the monarch and heir to the throne since 1348. Giving any person with a heart, such as Diana, very little 'wriggle room'.